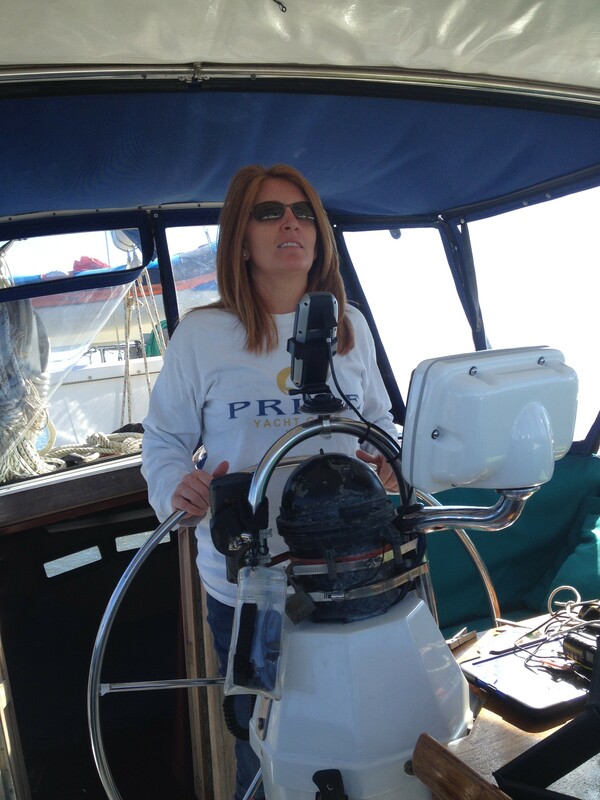 November 2015 – Interested in Learning How to Find, Select and Eventually Live On Board Your Own Sailboat? You're in the Right Place…. 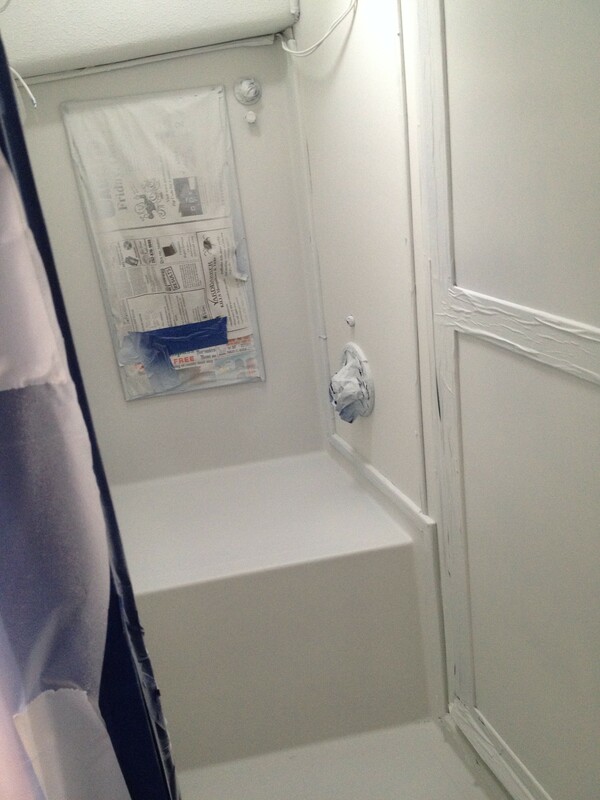 Trouble shooting the fuel system…..or….I got slimed…. 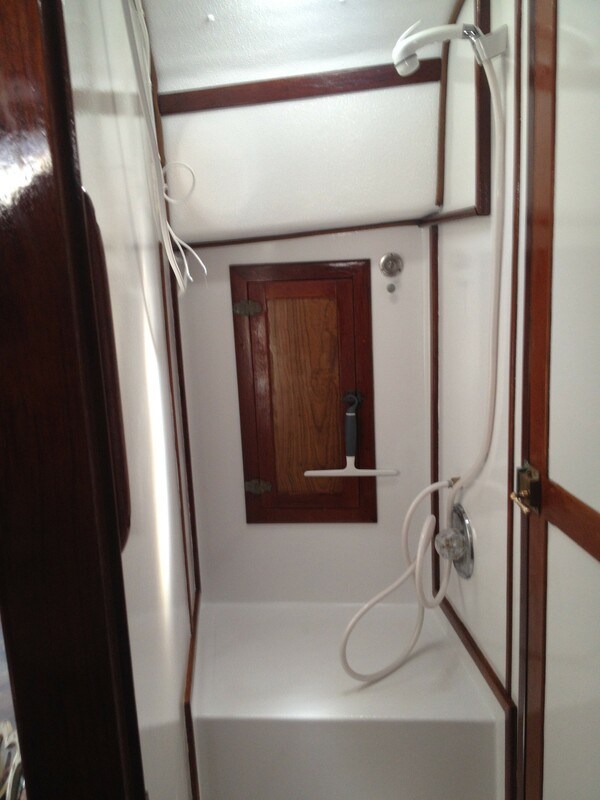 Ok, well, maybe not slimed like Bill Murray in Ghostbusters but definitely mostly clogged with globs of tank sealant. I think I mentioned that we were having an issue without port side fuel tank not feeding any diesel to our system. 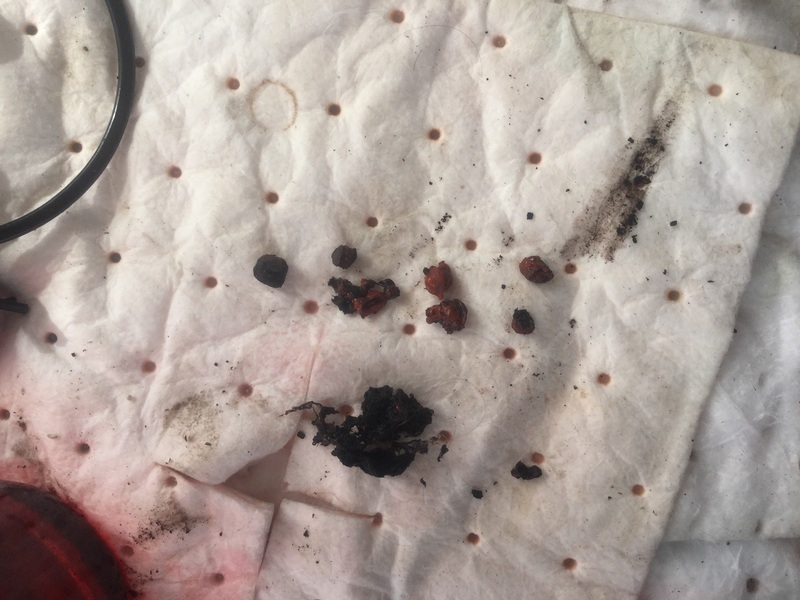 Well, after some troubleshooting and consulting with the prior owner we discovered that some sealant had made its way into the fuel tanks when the access panels were reinstalled years back. 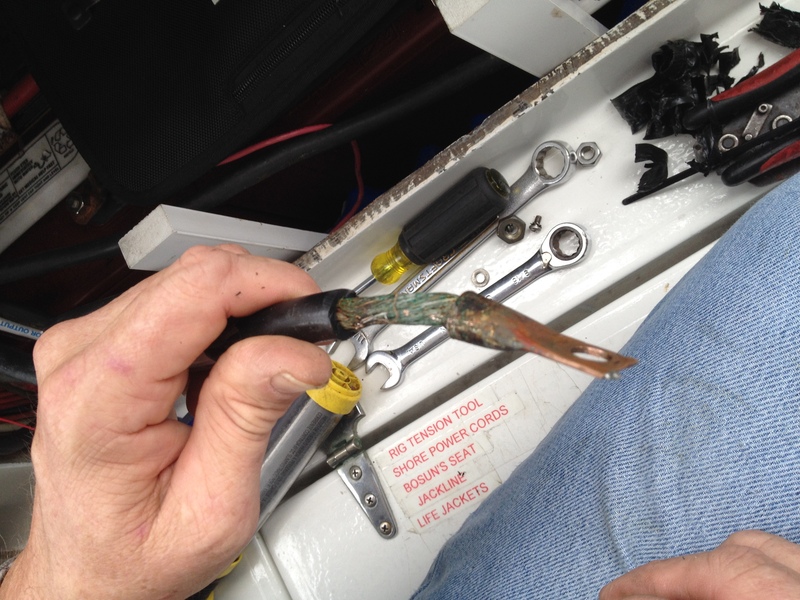 One glob had shown up in the fuel shut off valve previously…..so guess where I found this one? 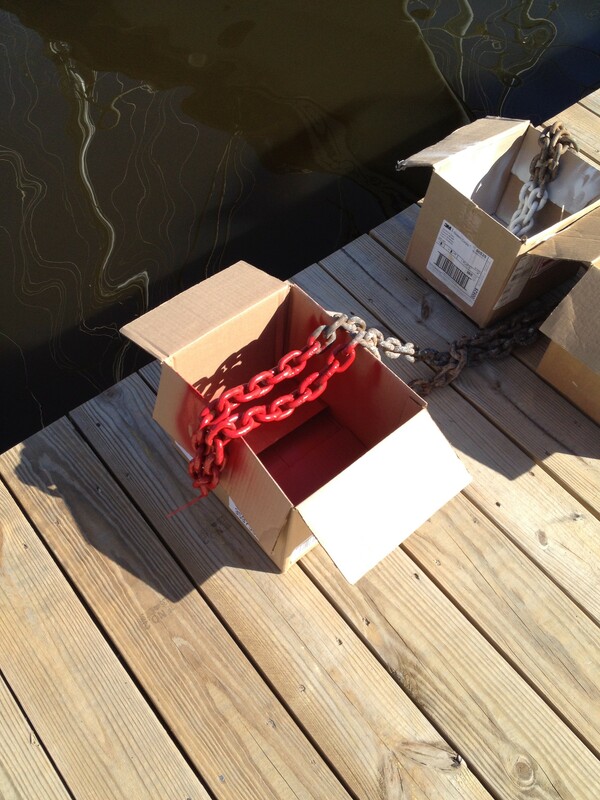 You got it….fuel shut off valve. I had begun troubleshooting the fuel lines and that was my next stop anyway but it always helps to get a little advice. I had already pulled the Racor fuel filters since I could see some globs of something in those. 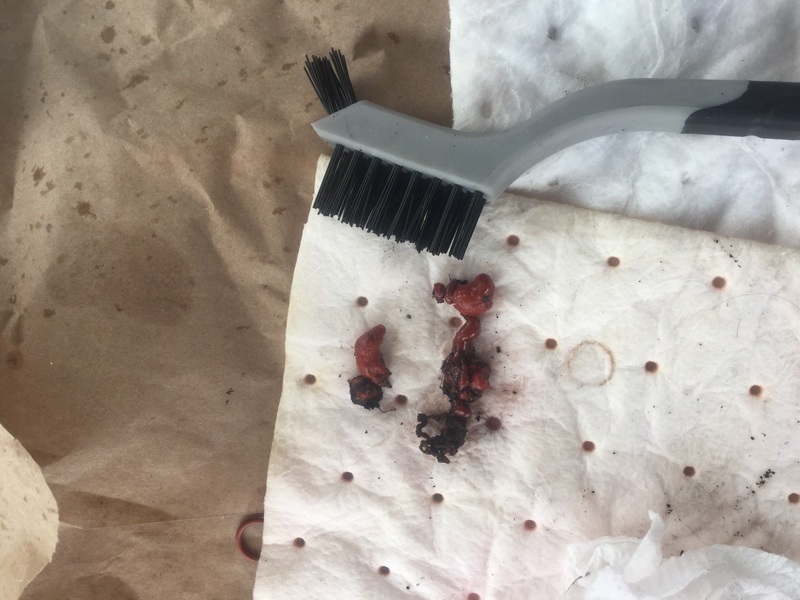 Our port side filter wasn’t draining from the petcock at the bottom of the fuel bowl so that means they needed a rebuild. Racor filters are amazing pieces of engineering in a pretty simple package. It only takes about 20 minutes rebuild one after you remove it or get the fuel bowl off while it is still attached to the bulkhead. That can be tricky depending on where yours are installed. The bolts that hold the collar on the fuel bowl are 1/4″….although on our older unit they are hex bolts…..not overly convenient….. 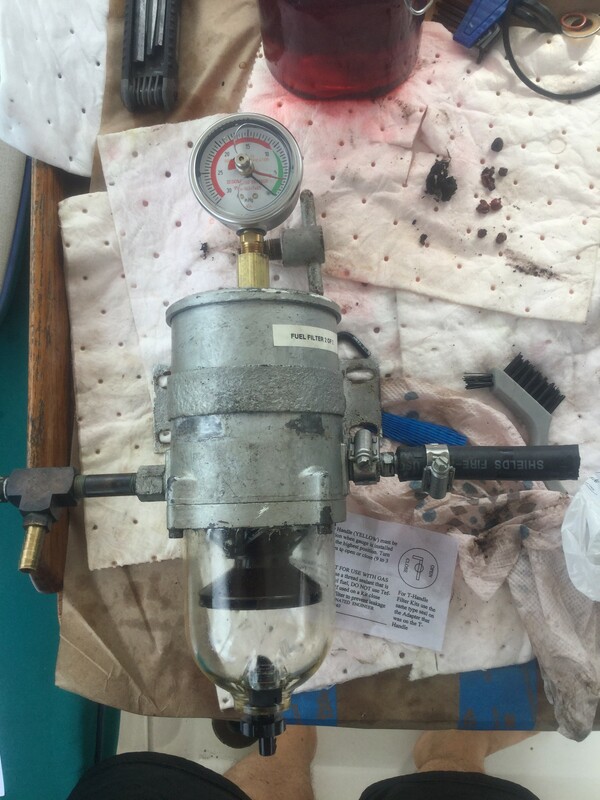 This is the nice, clean, rebuilt Racor filter….with a newly installed vacuum gauge…when the pressure goes up you know the filter is getting clogged so you can switch to your other filter……normal pressure is about 6 to 10PSI according to Racor…..it’s an older one but not much has changed……the diesel flows in from the right, down to the turbine which spins off the water and debris in the lower bowl, then the fuel goes back up through a ten micron filter and then comes out the left side. We have another vacuum gauge for the system but I think it’s also clogged with sealant so that gets a cleaning later. I like the idea of having the gauges on the individual filters better, I think. Below are the piles of what appears to be the Permatex style sealant that also appears around the fuel tank access panels on the tanks. Apparently, some of this got squeezed out of that joint and into the diesel tanks when they were last sealed and has been getting slowly picked up out of the tanks over the last couple of years…..eek….I plan to add a pair of temporary, clear, 250 micron filters to be sure we can keep these out of the Racors until we feel that there are no more or we resort to a fuel polishing system. That’s is all for now…..it’s happy hour…..next time…I’ll be “bringing in the (steering) sheaves”…. Posted on November 19, 2015 November 20, 2015 Categories UncategorizedLeave a comment on Trouble shooting the fuel system…..or….I got slimed…. 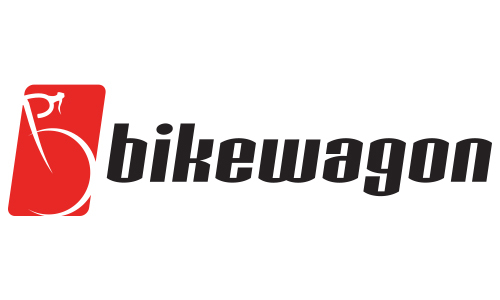 We are very excited here aboard Kitty Hawk to welcome our newest sponsor Bikewagon.com…..
Transportation is critical when you’re away from (or without a) your car for months, or years, at a time and these bikes fit the bill perfectly. They are comfortable, light, have a wide gear range and are easy to fold and store when not in use. 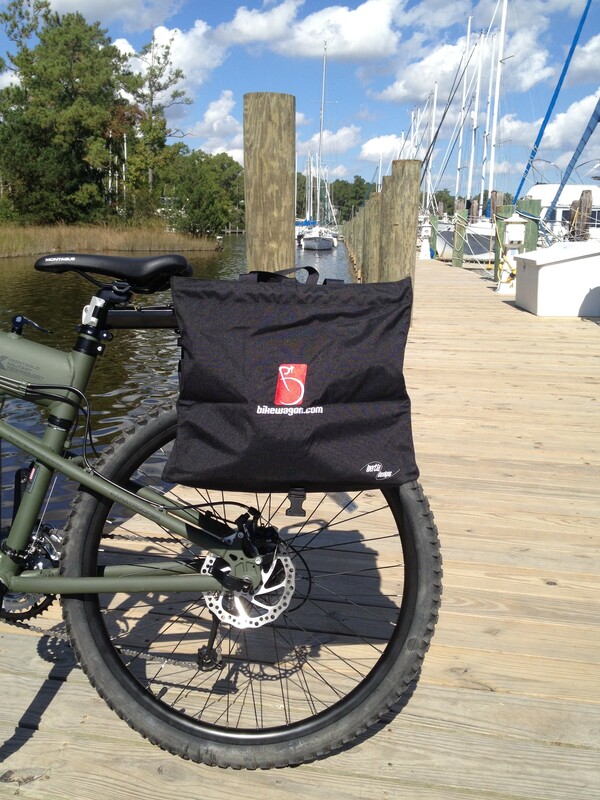 Don’t get stuck with a tiny slow bike….check out bikewagon.com !!! 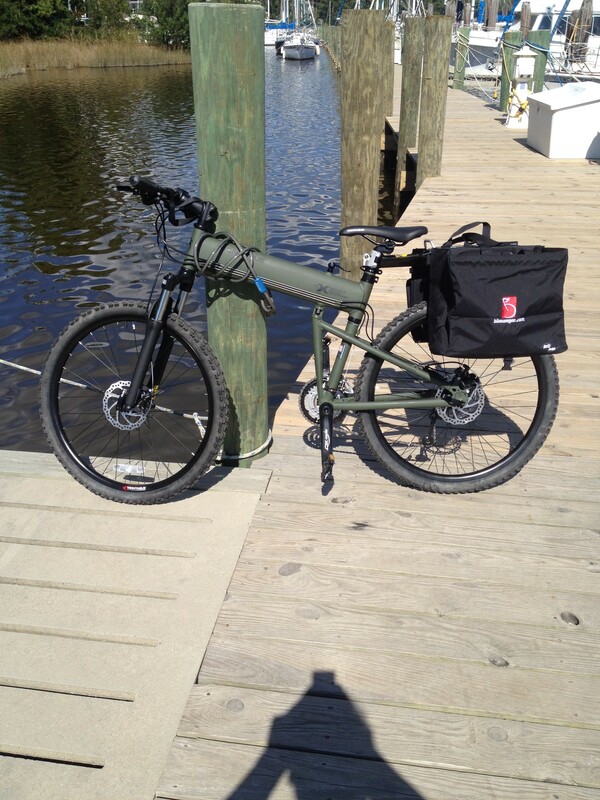 We recently received our new Montague Paratrooper folding mountain bikes from Bikewagon and we had a great experience. Dale and the folks at Bikewagon helped us screen, evaluate and finally select our new bikes and accessories. Our new bikes only took about five minutes to un-box and assemble. 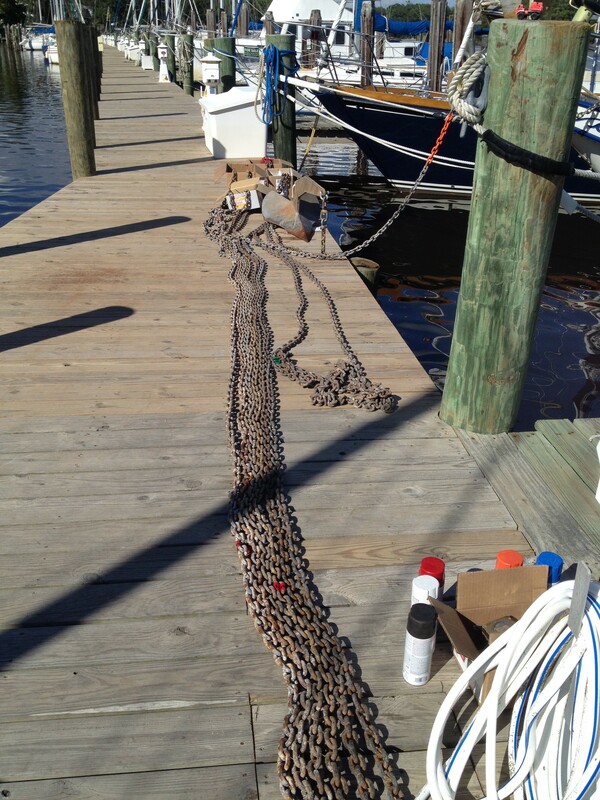 We can have them off the boat and on the dock fully assembled in less time than that now, after a little practice. 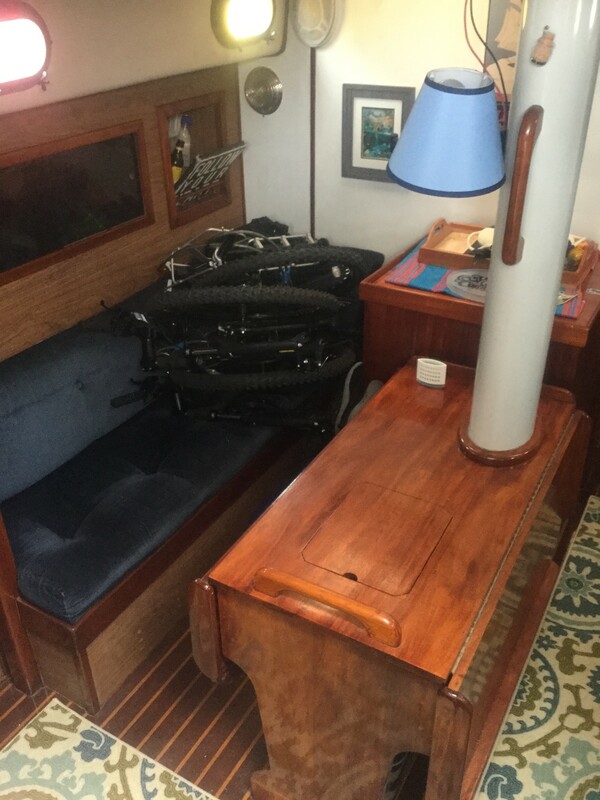 The best part is, for a full size bike, they fold and store in the salon out of the way while we are underway…..